From Cusco to the Sacred Valley and Machupicchu, then Lake Tititcaca. 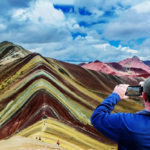 This is one of the best option to visit Cusco, the huge Saqsayhuaman, the Sacred Valley and a full day in Machupicchu, where you’ll have time to climb up to Waynapicchu mountain, after you’ll travel to Puno on a Bus Tour where you’ll stop in same view points and inca sites before arrive to the begining of the Inca History, you’ll visit the Titicaca lake, where the amazing floating island of Uros and the people from Taquile island are waiting for you with a warm welcome. This tour starts in Cusco and ends in Puno or if you want also in Cusco, we give you the option of having an open itinerary so you can combine the tour with your itinerary and continue with your trip to other destinations as Arequipa or La Paz (Bolivia), for this the passenger must Arrive in Cusco at the latest until the same day of the start of the tour no later than 12:00 hrs. LOCATION: CUSCO, SACRED VALLEY, MACHU PICCHU, PUNO, LAKE TITICACA. TYPE OF TOUR: HISTORIC AND CULTURAL. HIGHLIGHTS: SAQSAYHUAMAN, MORAY, SALINERAS, PISAQ, OLLANTAYTAMBO, MACHU PICCHU, and LAKE TITICACA. DIFFICULTY: EASY BUT WITH LOT OF WALKING AROUND THE RUINS. Day 1: Cusco - City Tour. Day 2: Cusco - Chinchero - Moray - Salineras (salt mines) - Aguas Calientes. Day 3: Aguas Calientes - Machupicchu - Aguas Calientes - Cusco. Day 4: Cusco - Puno. Day 5: Puno - Titicaca Lake - Puno. Day 6: Puno - Bus station or airport. We’ll pick you up from the airport and we’ll take you to your accommodation in Cusco, you’ll have the morning free to walk around the beautiful Cusco City; in the afternoon (from 1:30 p.m.to 6:30 p.m.) you’ll have the City tour where you’ll visit 5 Inka sites such us QORICANCHA well known as the temple of the sun, then you'll go up to the upper part of Cusco to see the amazing Inca sites like SAQSAYHUAMAN, then QENQO, PUCAPUCARA, and TAMBOMACHAY, Finishing this tour you’ll have the option to visit “El Centro Qosqo de Arte Nativo” where you can see a live show of traditional Cusco’s dances. Day 2: Cusco - Sacred Valley - Aguas Calientes. We’ll pick you up from your hotel (7:00 am.) then we’ll leave to visit the Sacred Valley of the Incas, you’ll visit Chinchero a Colonial village that keeps a nice Church with mural paintings and an Inca remains, This sector is one of the highest places in Cusco, then you will arrive in Moray, this place was a kind of greenhouse for Incas, where they acclimatized different product to take those to other regions, after we will take you to the Salt Mines (Salineras), here there are more than 4000 fountain of natural salt that are still being worked by local people, after visiting this place we’ll continue to Arrive in Urubamba where you’ll have free time to have lunch, then following the Wilcamayu River you we will arrive in Ollantaytambo, the other Inca site where you can find one of the few places in Cusco and Peru where people continue living on the Inca Construction, almost all their streets have water channels; the religious site is located at the top where the temple of the sun is standing; In this place you'll finish the tour approximately at 15:00 hours, after a short free time we go to the train station of Ollantaytambo, the train station is located to 7 minutes walking from the square of Ollantaytambo, this is the most popular place in this site, there, you’ll take the train to AGUAS CALIENTES (town of Machupicchu - 1 and 1/2 hours), once you arrive, the hotel's staff will be waiting for you with the name of the accommodation, arriving in the hotel you’ll meet with the guide of Machu Picchu to talk about the visit of the next day. In the morning you’ll have the option to go up early to Machu Picchu, we’ll take a bus to arrive there in 25 minutes, we’ll meet with the guide at the gate of the archaeological site, then you’ll start the guided tour information, you’ll be with the guide 02 hours approximately after you’ll have free time 2 or 3 hours to explore this beautiful place by your own, after the free time we have to go down to Aguas Calientes town (by bus) and you’ll have time to have lunch; then we have to be at the train station at 14:00 hrs. to take the train (the train departure is at 14:30 hrs. 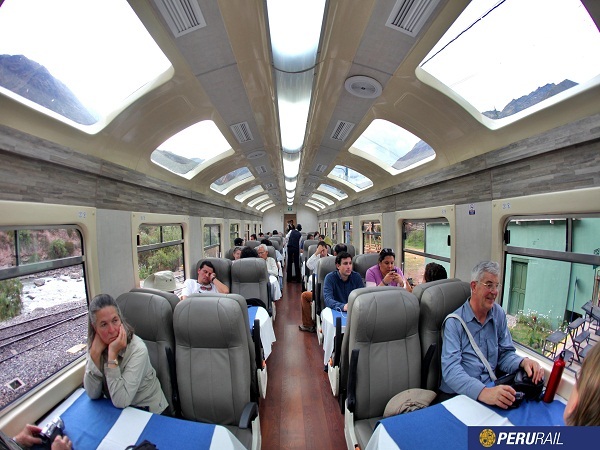 ), then when you arrive in Ollantaytambo train station we’ll pick you up to bring you back by bus to Cusco (18:30 hrs.). Day 4: Cusco (Bus Tour) - Puno. We pick you up from your accommodation in Cusco at 6:30 a.m. to take you to the private bus station, where we’ll take a bus tour to Puno on the route we’ll stop in some places to visit interesting places like Andahuaylillas a chapel belonging to the 17 the. Century, where you’ll find a nice wall painting, after we’ll continue to the next place “Raqchi” or well known as the temple of the god Wiracocha the main deity of the Incas, after visit this place we’ll continue and we’ll arrive in “Sicuani” where you’ll have included a buffet lunch, after lunch we’ll continue our route now you’ll stop at “La Raya” the border between Cusco and Puno and the highest point of the route 4350 m.a.s.l., after this places we’ll visit the last place “Pukara”, this is a pre-Inca museum, then we’ll arrive in Puno (5:00 p.m.) we’ll pick you up from the bus station and take you to your accommodation in Puno. 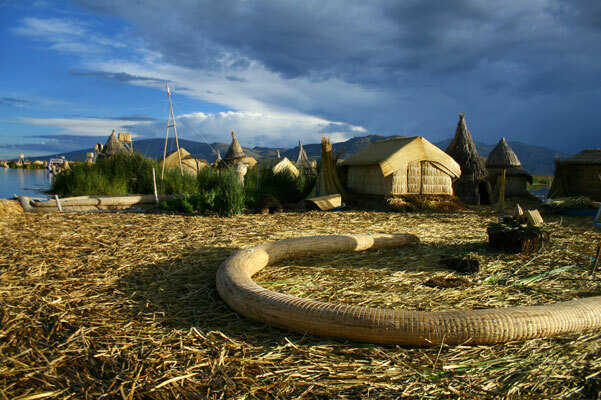 Day 5: Puno - Titicaca Lake (Uros, Taquile)- Puno. We pick you up from your accommodation at 7:00 a.m. to take you to the boat to start the tour; this day we’ll visit the Titicaca lake and two Islands, the first one will be “Uros” the floating islands where you’ll find local people who live in these islands the guide will give you information about the local people, customs, after this place we’ll continue to the next island “Taquile”, in this place you’ll walk around the main part of the island where you’ll find people who make textiles by hand, and if you like you can buy some of them, after you’ll have a Lunch include, then we’ll take the boat to return again to Puno (4:30 p.m.). After breakfast, we’ll take you to the airport of JULIACA or the bus station to take your flight or bus to your next destination. END OF OUR SERVICE. Briefing: A day before the tour or the same day you start the tour we give you detailed information about your itinerary, where we also give you all the tickets that you will need on the trip, maps and all the relevant information that you have to know, this can be at your hotel or in our office INKA TIME. Tourist transportation: Minibusses in the City Tour, Maras - Moray Tour and the Sacred Valley Tour, these services are provided with minibusses of 15 or 20 people (Renault Master or Sprinter Mercedes Benz). 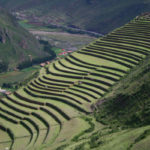 Tour Guide in the City Tour, and Sacred Valley: You will be well informed by our expert tour guides at each place of visit. The Entrance Tickets: We will have ready for you all tickets you need for all the sites around the City Tour, Sacred Valley and Salineras (General Boleto Turistico + Qoricancha + Salineras entrance fees). Train Tickets: We will book your round trip train tickets (Voyager Train IncaRail). Entrance ticket to Machu Picchu: We will have ready your passes to get into this beautiful place. Transportation to come back to Cusco: Transportation in minibusses of 15 or 19 people. Bus Tour Cusco to Puno: We pick you up at your hotel and we take you to the private bus station to go in this nice trip to Puno, This service has included entrance tickets, Guide and Buffet Lunch. Trasfer in Puno: We pick you up at Puno Bus station and take you to your Hotel, and in the same way, we take you to the airport or bus station once you finish the tour. Transtation in a speed boat: The navigation on Lake Titicaca will be fun and safe, the sliders have life jackets and first aid kit. Tour Guide and entrance fees to the Islands: You will be well informed by the local guides, also you already have include the entrance tickets to the islands to visit. Permanent Assistance: Our staff will be attentive monitoring at all times during the course of your trip. Meals: Except for the lunches on the trip from Cusco to Puno and Lake Titicaca; then you will find plenty of restaurants anywhere from US$ 8. Night in accommodation in Cusco, Aguas Calientes and Puno: if you want we can give you Accommodation rates from US$ 15 per person or you can also visit www.booking.com where you have an endless number of accommodations; remember that in Aguas Calientes you will arrive in the village at 18:10 a.m. and Next day they leave early to visit Machu Picchu, so the accommodation is more for sleeping). Entrance fee to Waynapicchu mountain: US$ 15.00 (this is a hiking of 2 and 1/2 hours) if you want to climb up this mountain you have to tell us before, because there are only 400 spaces per day. Entrance fee to Machupicchu mountain: US$ 15.00 (this is a hiking of 3 and 1/2 hours) if you want to climb up this mountain you have to tell us before, because there are only 400 spaces per day. NOTE this is not the same entrance that you already have include for the citadel, this is an extra entrance for hiking the mountain. Tips: This is optional, our staff is well remunerated, this is why, it is not something indispensable or expectant, any amount will be well received. US$ 25.00 Off for people belong to Andean Comunity group (Perú, Colombia, Ecuador and Bolivia). US$ 115.00 Discount for under 8 years old children; children under 3 years old do not pay if they don't occupy seats in the train and buses. 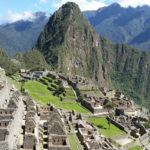 According to the new regulation of Sustainable Use and Tourist Visit for the conservation of the Historic Sanctuary of Machu Picchu 2019, the entrance ticket to Machu Picchu is valid only for a single entry to the park (this means: The passenger enter, walk around, go out and can not re-enter again), usually all people stay between 4 to 5 hours into Machu Picchu, if you would like to stay a longer time, you must buy another ticket (US$ 50.00 Extra), the park is open until 17:30 hrs.Prices are for tours in shared service (group tour), groups of 15 to 20 people in City Tour, Sacred Valley and Machu Picchu; groups of 35 to 40 people in Bus tour Cusco Puno and Titicaca lake, inquire for prices in private tour. Private Transportation: To return From Ollantaytambo to Cusco US$ 20.00 (per person); This gives you a pleasant trip without waiting and picking up other people of the group tour. Private Tour Guide in Machu Picchu: Personalized service in the citadel of Machu Picchu, US$ 25.00 (Per person - At least 2 people), with this service you will not have to depend on a group. The tickets that are given in the briefing. Original Passport (This is requested to take the trains, the busses and to get into Machupicchu). Small rucksack (backpack) smaller than 40 liters. Comfortable clothes (somewhat warm) when you leave early and return late is a bit cold, it's better to feel comfortable with your temperature.